RustMasters Central Coast is a fully mobile service, specialising in the removal, preparation, treatment and painting of rusted steelwork in domestic, industrial and commercial areas. Our remedial services are aimed at protecting and extending the life of buildings, structures, infrastructure and industrial assets. It involves high quality repairrefurbishment, corrosion rectification, treatment and maintenance. Remedial work is an extremely specialised area and one we have been involved with formany years. As a result we have gained a vast amount of experience and expertise during this time. Our main objectives are to repair and maintain clients valued steel assets with a cost effective, timely and safe approach to all facets of a project. 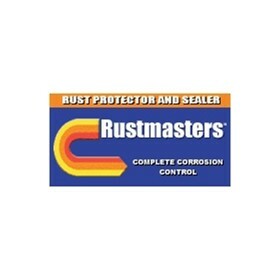 RustMasters utilises a variety of equipment to remove any loose rust and paint prior to surface sealing and recoating. On projects where abrasive blasting is either cost prohibitive or unable to be performed, the RustMasters system is the next best option. RustMasters also specialises in re-working metal if too badly affected by rust. Cutting out damage, fabricating and re-welding areas, preparing and recoating. RustMasters uses a variety of quality coatings, depending on the structures use. RustMasters specialises working in difficult access areas, often confined and/or elevated. Below are answers to questions people frequently ask about Rustmaster and its capabilities.